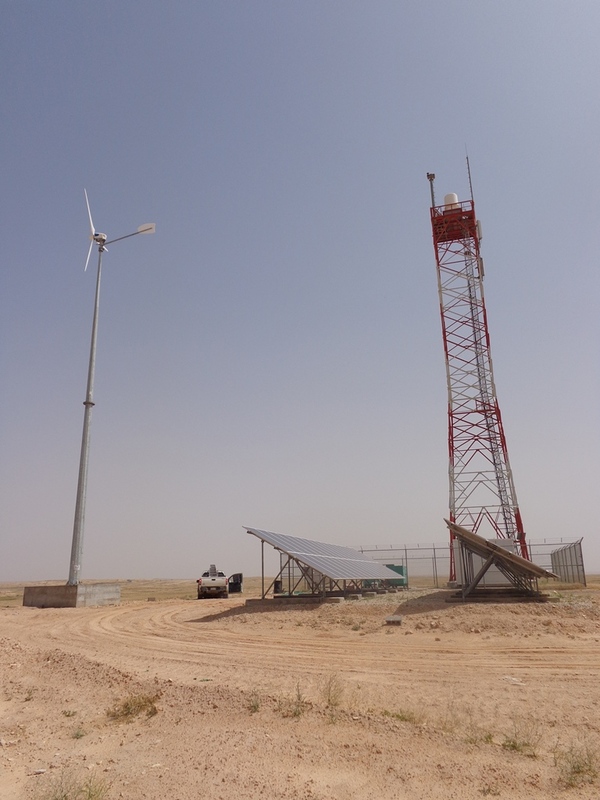 The ANTARIS 6.5 kW as Energyproducer in Saudi Arabia, working in a 3-phased Hybridsystem with PV. The System is working with 3 pcs. Sunny Islands (each 5.0 kW) as Energymanager, one Smart Wind Inverter 7.5 kW and one SMA Tripower 10.0 kW. That is the first Telecommunication Installation from complete 15 pcs. in Saudi Arabia.